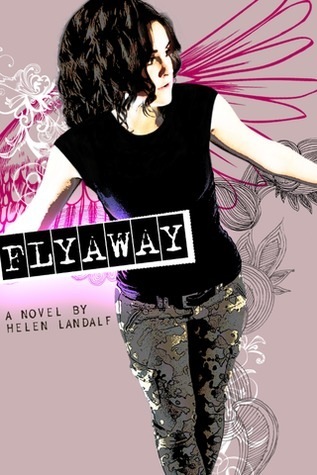 Today we're joined by the lovely Helen Landalf, author of FLYAWAY, which comes out tomorrow (December 20). Stevie Calhoun knows how to take care of herself. It’s not like her mom hasn’t disappeared before. So why is Aunt Mindy making such a big deal of it now? It’s not like Mom’s really doing meth. Stevie makes sure of that.Whatever. She’ll go home with Aunt Mindy if it will keep her from calling Child Protective Services—but it doesn’t mean she’ll stay. Mom will come back. Mom always comes back. And Stevie will be there when she does. But when Stevie meets Alan—frustrating and fascinating and so-different-from-everyone-she-knows Alan—and she starts helping out at the bird rehab center, things begin to look different. Even the tutoring and the ridiculous outfits Aunt Mindy’s forcing her into might not be so bad. Not that Stevie would say it out loud. She can’t. Because how can anything be good if it doesn’t include Mom? Sounds awesome, right? I recently got to chat with Helen about FLYAWAY, her journey toward publication and, of course, some apocalyptic-type matters. Hi, Helen! Tell us a little about your journey toward publication. I actually started writing about 20 years ago. I've published two picture books and seven nonfiction books for teachers, but my dream was to publish a YA novel. I worked toward that dream for 10 years before it became a reality. It took me two "practice" novels and countless rejections before I finally landed an agent and sold FLYAWAY. In FLYAWAY, your main character, Stevie, works with birds. Did you have to do any special research for that, or have you had any experiences working with birds? I had no experience with birds before I started FLYAWAY, so I had to do tons of research. In order to make my bird rescue scenes authentic, I volunteered at PAWS Wildlife Rehabilitation Center, in their bird nursery. I also visited a home-based wildlife rehab center where teens volunteer for court-ordered community service. It was amazing to see how dedicated and caring they were with the birds and other animals, and that center became my model for On the Wing, the bird rehab clinic in my book. That sounds like an amazing experience. FLYAWAY also deals with family relationships – the relationship between Stevie and her aunt, and most importantly, Stevie and her mom. How did you make those relationships realistic and honest? To make those relationships honest, I just dug into my own heart. I'm a daughter, a sister, a stepmom, and a wife, and although my relationships aren't terribly similar to the ones Stevie experiences in the book, I still know how it feels to love unconditionally, to be abandoned and rejected, and to learn to accept another person for who they are instead for how I wish they would be. And of course I also drew from observing the relationships between people around me. Great advice for writing authentic relationships! What is your favorite part of the writing process? Least favorite part? But revisions are a different story. I adore revising, especially with the guidance of my critique group, my agent, and my editor. I love digging through the muck of that first draft to find the gold nuggets that are the heart of the story and then polishing those nuggets till they shine! It’s been over a year from book sale to book debut. What has been the most surprising part of the journey? First of all, I've been surprised at how long everything takes! There's so much waiting involved in getting published: waiting for the contract, waiting for the advance, waiting for the revision letter, and so on. I was also surprised at how much revising goes on after the sale. I had rewritten my novel at least eight times before submitting it to my agent, then it went through two more major revisions with him. I thought for sure it would just breeze on through the editing process, but of course I revised it yet again for my editor. The attention to detail required, especially in the line edits and copyedits, is simply amazing. Can you tell us something about your next project? Well, I can't tell you too much at this point, so I'll just say that my next book is another contemporary realistic novel starring an urban girl. But no birds this time. Ooh, sounds intriguing. Can't wait till you can share more about Book 2. Quick: it’s the apocalypse! Which five literary characters do you want by your side and why? 1.Katniss, from The Hunger Games, to remind me that I'm strong and powerful. 2. Harry Potter, to help me fight the forces of evil. 3. Alice in Wonderland, so I can see the absurdity of it all. 4. Emily Dickinson, who will keep me aware of the startling beauty in each moment. 5. Winnie the Pooh, to remind me that even the apocalypse will go down better with a bit of honey. Excellent choices! Thanks so much for stopping by, Helen. To find out more about Helen and FLYAWAY, check out her website.